It's odd that such a townland as Doolin could become such an important destination for tourists, but mostly it's down to music and proximity to the Cliffs of Moher. Walk on down to the ocean and there's not many finer places for wave-watching. 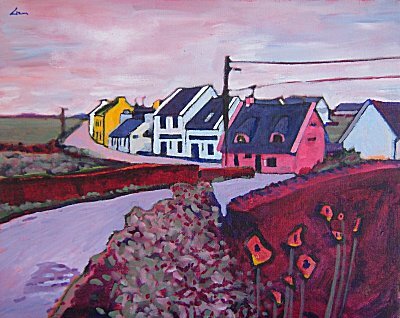 I find winter is the best time to visit Doolin. Better chance of avoiding the tourbuses.